From Goodreads ~ Two people are brutally murdered in their summer place on Deep Creek Lake. Suspected of the murders, former child star and one-time teenybopper idol, Lenny Frost, takes innocent bystanders hostage in a local pub and demands that Mac Faraday find the killer. Can Mac save the hostages and himself from the wrath of the enraged has-been by piecing together the clues in less than twelve hours, or will it be a fatal last call at the stroke of midnight? Janice and Austin are found murdered in their home. Has-been Lenny Frost, Janice's former child-star client, is the suspect ... a witness saw him entering the house the night of the murder and Janice had written his name with her blood before she died. In a desperate attempt to get the police to proof his innocence, Lenny takes some patrons in a pub hostage and demands that the police find out who is the real killer within twelve hours ... if not, at midnight the hostages will be killed. As detective Mac Faraday and his friend/cop, David O'Callaghan, start to investigate, they discover that this story could be tied to some incidents that happened many years ago ... Lenny's girlfriend, Kate, had committed suicide and Lenny had been kidnapped (the money was never recovered and kidnapper wasn't caught). In addition, there is major drug dealing at the club Janice had bought for her son, Derrick ... could it have been a drug deal gone bad that caused Janice and Austin to killed? This is the second book I've read by this author and I enjoyed it. I liked the writing style and thought it flowed well. It's written in third person perspective. The writing was suspenseful and funny at times. There were lots of twists and turns and things to keep track of. Thank goodness Mac and David summarized everything at the end and pulled everything together so I could see how it all fit. It is the latest in the Mac Faraday series (#7 maybe?). Though it is part of a series, it worked well as a stand alone ... you don't need to have read the previous ones to know what's going on (it's the first I've read in this series). There were a lot of characters and at first I found it hard to keep track of them. There was a cast of characters list in the front of the book to refer back to if needed. I liked the interaction between the characters. They obviously cared about each other. Mac's "lady love" is Archie ... they are at the point where she wants to move forward and get married but he's still cautious because he'd been burned by his ex-wife. Mac's dog, Gnarly, is funny. 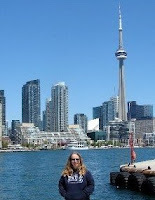 I liked the characters and the setting and look forward to reading others in this series and others by this author. Sometimes I get anxiety with suspense books LOL. 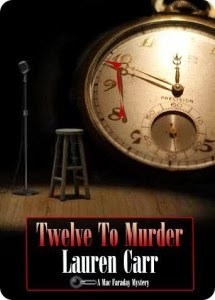 Thank you so much, Teena, for the great review of TWELVE TO MURDER. So glad you enjoyed it!